The Ministry of Health has launched another aggressive attack against the Aedes Aegypti mosquito, as health officials continue to act to minimise the spread of the Chikungunya virus. 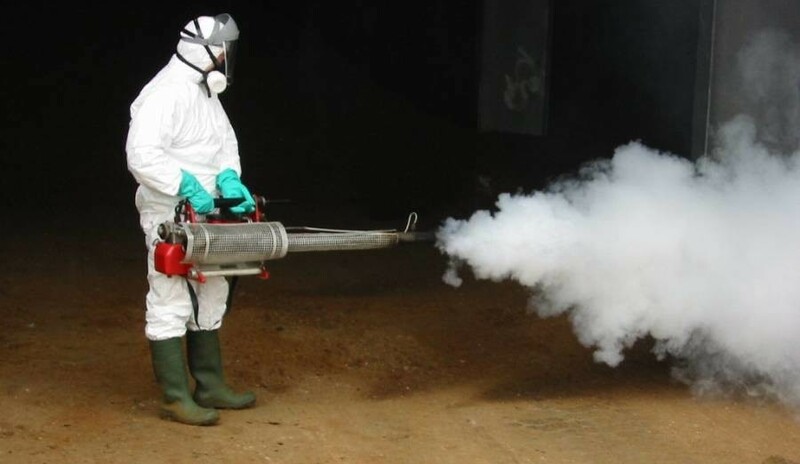 The ministry’s Vector Control Division has undertaken a fogging campaign as part of it latest efforts to reduce the high incidence of mosquito infestation. Fogging operations began on Monday and continues until Thursday, from 5am daily in the following areas. Thursday 10 July – Stadium, River Road, Darbeau and environs. Health officials are also seeking the public’s cooperation to ensure the effectiveness of the fogging campaign by opening up doors and windows thus allowing the fog to enter and kill the mosquitoes. Persons with respiratory difficulties are also asked to stay away from the fog or inform the fogging team of their health conditions. The fogging teams are also seeking aviary farmers’ and beekeepers’ support to avoid possible disruption in the exercise. So far there has been no further confirmed outbreak of the Chikuingunya virus in Grenada since the first report about 3 weeks ago on the sister isle. The Ministry of Health is appealing to the general public to keep their surroundings clean and prevent mosquito breeding by properly discarding or burying all water holding containers. The Vector Control Division can be reached on telephone number 440-2095.